First of all, press “Command Shift 4”. Notice how the cursor changes once you hit the keyboard shortcut. Now you can drag your mouse and make a selection on the screen. 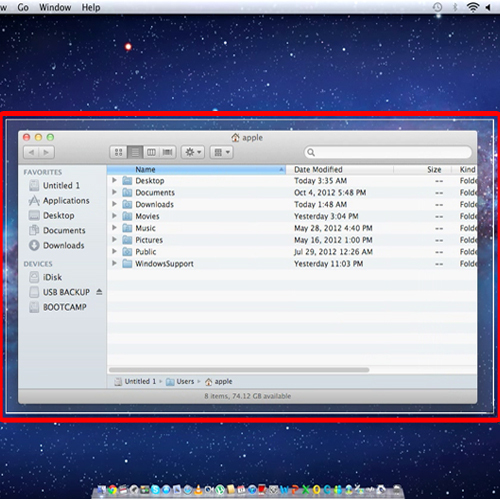 Once you release your cursor, the file is automatically saved in your desktop. 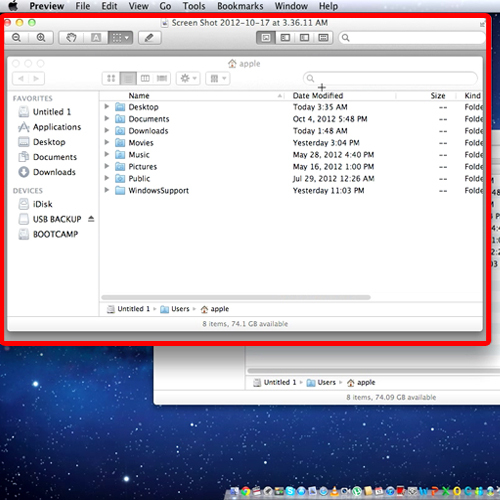 Open the file and notice that it took a screenshot of everything that came within that selection, including the desktop. 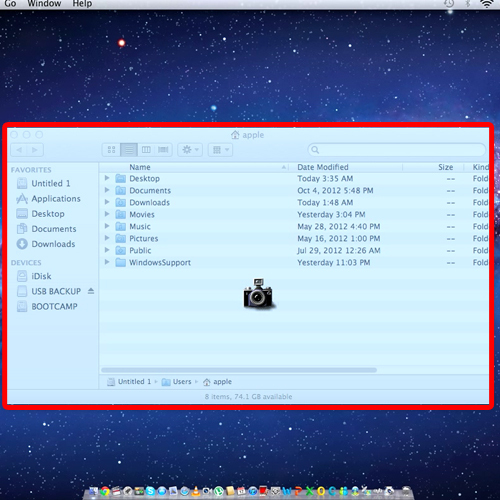 What if you want to take a screenshot of only a particular window or the desktop? For that we have Active window. The mac print screen command is “Command Shift 4 key”. Press “spacebar” on your keyboard and you will notice that the cursor will change once more. When you move the cursor over the window or the desktop the color changes. This means that a screenshot will be taken of the window which is active before the screenshot is taken. For example let’s take a screenshot of the window. Open up the file and you will notice that the background wasn’t captured in this screenshot. 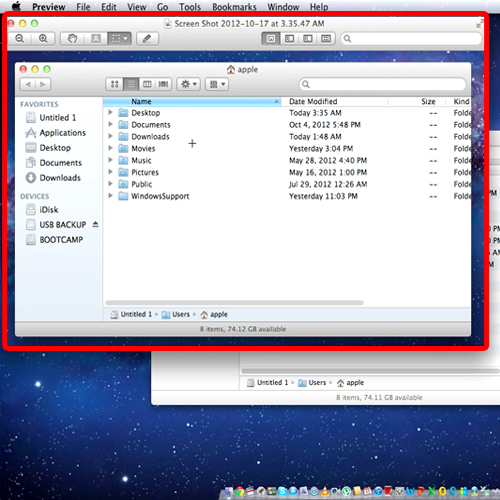 Similarly you can take a screenshot of the desktop as well and this is how you print a screen in mac.